Yes, the holiday spirit and giving and love is great. Caroling, chocolate, Santa, Jesus' birth. My favorite part is Christmas break. When my kids have no school and we don't have to get out the door before the sun is even up and mornings can be lazy and we can wear pj's all day and bake cookies and have NO OBLIGATIONS for two weeks. Oh, yeah...stress levels go WAY down and mean mom rarely makes an appearance. I'm usually done with Christmas shopping well before the kids' last school day of the calendar year, so I can focus on enjoying time with my boys. Today is my younger boys' last day and by the time this posts, both of them will be out of school. I love how well their school celebrates the holiday season. This morning, my 7yo participated in a program about Christmas around the world. There was singing, dancing, losing of hats, tripping of children, and cute costumes. 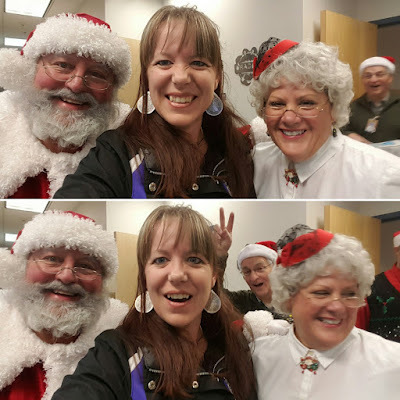 And Santa and Mrs. Claus. Our principal decided to join in on the fun. "It's not every day you get to photobomb Santa," he said. 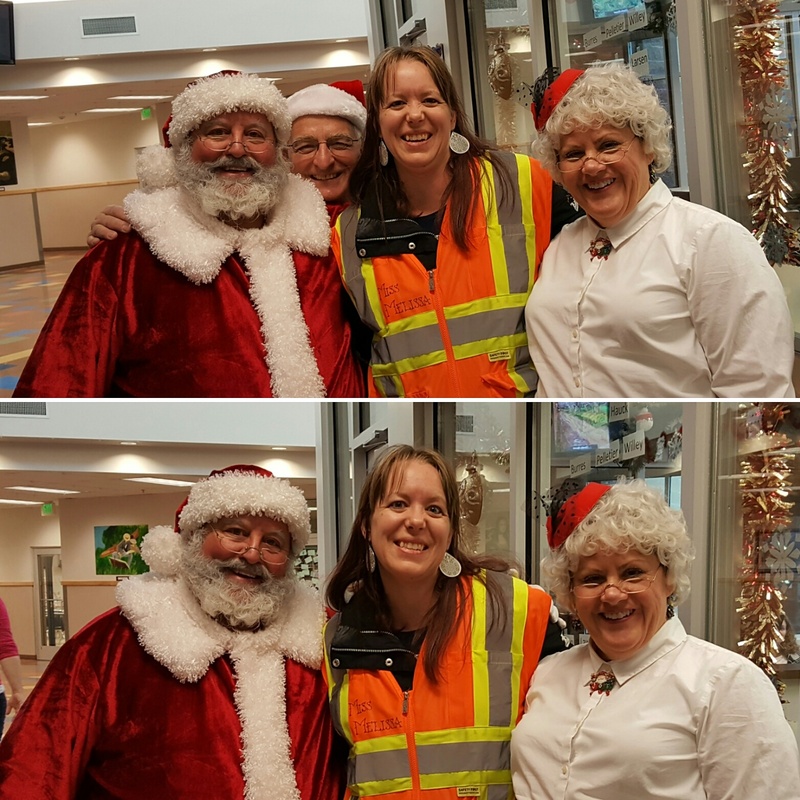 Santa and Mrs. Claus told me they especially love crossing guards. We've also got ornaments made from construction paper, glitter, and pompom balls, candy and treats, new books, and other gifts and crafts. One lovely lady even made cinnamon rolls for the teachers and parking lot volunteers. Yum! It's a good day. A very good day. And I can't wait for it to be done so I can snuggle up in a soft warm blanket and sip hot cocoa watching Christmas shows on Netflix while my kids run amok and most likely destroy my house while "watching" with me. That's the kind of holiday I'm looking forward to most of all.